Shades of October at Wrigley?​ With the ​Cubs down two runs entering the ninth inning against fellow NL Playoff contender Arizona, Chicago was staring down the barrel of a four-game home series defeat to the Diamondbacks. Then, the bats woke up. David Bote, who has filled in admirably at times for the oft-injured Kris Bryant, tied the game with a majestic two-run shot. But the heroics did not end there, as ​​​Anthony Rizzo barely allowed the Wrigley faithful to return to their seats before sending the North Siders home happy. 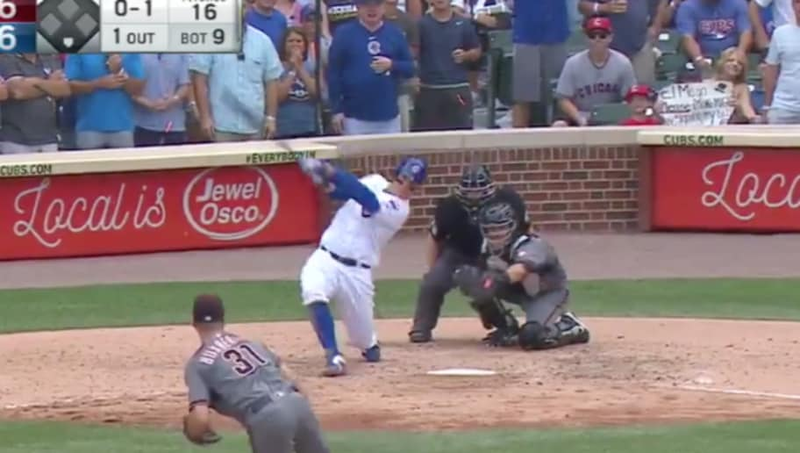 No bat flip from Rizzo, that's not his style, but the Cubs slugging first baseman can stand and admire that one as long as he wants. The no doubter increases Chicago's NL Central lead to 3.5 games, with Milwaukee playing in San Francisco tonight. Both Milwaukee and Chicago are in search of starting pitching at the trade deadline, with the Brewers in particular looking to draw first blood. The pressure was just amplified.